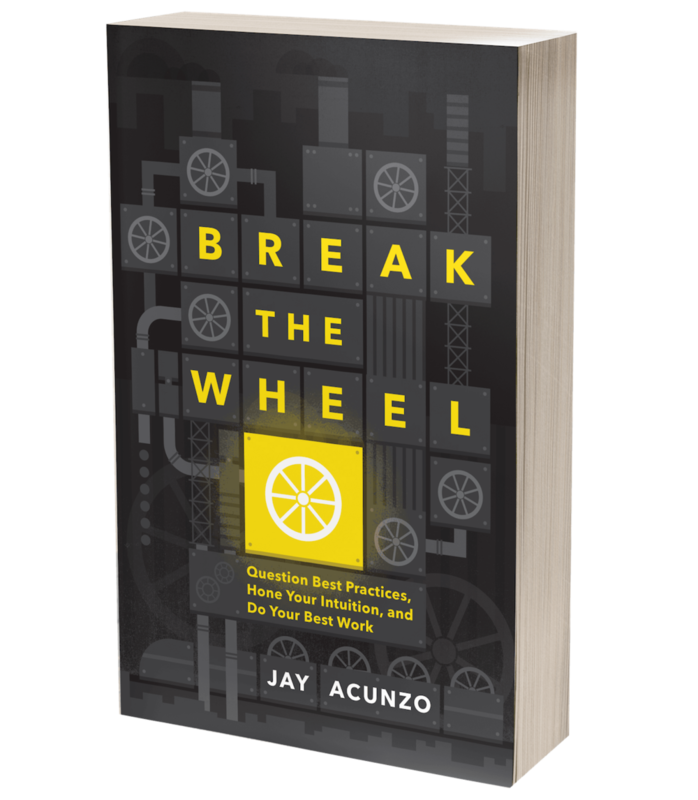 Never Feed Salad to a Lion — Jay Acunzo | Author. Speaker. Maker of Shows About Work. I used to think that the very best marketers and startup founders (the stars of the two movies that make up my professional life) were the very best at identifying problems. That's what made them so special and so effective. That makes reasonable sense, right? You have to be really adept at noticing when something is broken in order to build great solutions, whether those are marketing touchpoints (proper messaging, tone of voice, educational or emotional content, etc.) or brand new products and features (great startup pitches often start with context of a problem the founders have identified). So it makes sense: Really great marketers and really great founders are really great at noticing the problems their customers face. But that’s not actually what makes them great. Instead, I’ve realized that it’s actually about what you do NEXT that separates great marketers and founders from the pack. It's about what you do once you believe you've identified a problem that needs solving. In short: it’s not about identifying the problem; it’s about working hard to UNDERSTAND it. Pretty much anyone can identify a problem by leaning back in their chair in some conference room somewhere. They've probably spent enough time working in the industry, reading blogs, talking about their product, etc., to know that their customers struggle with X. You may not hit the bullseye like that, but you can probably get on the board. You may even say all the right things in that conference room — minimal viable products, listening to customers, launching and iterating, using customer personas. But the fact remains that YOU ARE STILL IN A CONFERENCE ROOM AND YOUR CUSTOMER IS NOT! This does all kinds of terrible things to your process and your outcomes. It grounds you in only a fragment of the reality facing your audience. It means you know just enough to be dangerous about your work -- you're not ignorant enough to go out and hunt for answers, but you're also not informed enough to build something meaningful. You ASSUME to know your persona, which isn't a proper assumption, even if your persona has been reasonably fleshed out. Even worse, people then use that persona or that modicum of knowledge as a blocking pad to creativity and innovation. They use it to push their own agendas forward. And when you ultimately launch whatever it is you’re building — a marketing asset, a product, etc. — it’s rarely a great fit. Said another way: You often wind up feeding a salad to a lion. NEVER FEED A SALAD TO A LION. What do I mean by that? Just because you've identified a problem doesn't mean you UNDERSTAND it. You can guess with decent accuracy: “He’s hungry." Great! That’s an important starting point. But in that agenda-filled conference room, you often then operate with a "false sense of precision" (to paraphrase a former colleague Joe Chernov). You know the lion is hungry. You know food is the solution. Salad is food. Yes, salad is food. Technically speaking, that’s a “correct” solution to this problem. But it’s a problem built on assumptions, discussed inside a vacuum, affirmed by what you believe to be (but actually isn’t) a precise portrayal of your customer. As a (really killer) acquisition marketer recently said to me, "Entrepreneurs that have had success often believe they just know the answer." Compounding this problem of feeding salad to lions is that the voice of the most politically powerful person in the room is now the PROXY for the customer's voice. And, to my friend's point, that person can often be the founder who has had some success building the initial version of a solution to a problem. They identified AND understood the problem at the beginning and proposed what's now a moderately successful solution. But then they might stop trying to understand because they just "know." They -- or any marketer in a similar boat -- can lean back on their traction. They get approached by media for their expert POV. They speak at conferences. Then there's the buyer/user persona, which both the politically powerful voice and all other voices in the room will attempt to use. You’ll hear people say things like, “Sam Salesman won’t like that piece, so let’s kill it,” or, my all-time least favorite, “Danny Developer seemed to like XYZ in the past, so just do that again." Good luck having a productive conversation (or career) in the face of these things. Good luck being creative. Good luck succeeding. And what kills me is just how easy this can be to avoid. TALK TO YOUR FREAKING CUSTOMERS!! Literally, go find ONE and have a conversation with them. It will be utterly enlightening. 1) Block dedicated time to meet with your target audience. 2) Shadow sales calls or pull recorded calls. 3) Request support ticket logs from your customer support team. Ask specifically for reasons customers churn from your product. I used to do this at HubSpot, and it made a world of difference. We were able to identify that customers largely left the product not because of the tech but because creating content was too hard. That led to a flurry of templates and advice from our content team to address that issue and make stickier customers … which would ALSO attract new, like-minded customers. Everyone won — prospects, leads, customers; marketers, sales reps, and support reps. Beautiful, right? Set a goal to attend a certain number per year. (My goal this year is to speak at 5+ conferences in front of at least 50 people in the room at each time. I position it as a speaking goal rather than attendance goal because (a) I love public speaking and (b) by steering into what I love, I've found myself looking into more conferences that I wind up attending even if I can't land a speaking engagement. That gives me more opportunities to mingle with and listen to the right people, ask questions, etc. 5) Schedule dedicated calls with customers or prospects. 6) Think of ONE person in your target audience and gut-check your work against them at all times (whether in theory or by actually asking them periodically). That's right -- JUST ONE. It’s REALLY hard to build a persona correctly and well. It’s really use to write a blog post for a single person you know. On my desk at NextView, I have a sticky note attached to my monitor that says, “Would I send this to [Founder’s name]?” He’s someone I know personally and professionally, and so I can understand exactly what kinds of things he’d like — everything from content formats and topics to length to time of day or volume of email sends. Everything. In speaking with an editor at Forbes and a former editor at Newsweek in the past couple years, I heard this exact advice and decided to try it. I’ve loved it. It works. It de-stresses you. You’re not writing for the world. You’re writing for Bill, or Patrick, or Stacy, or Christina. You know them. You can actually GET to know them. And you can build off of that. ProTip: Don't talk about yourself! If — nay, WHEN you start talking to more customers, don’t ask them about you. Don’t ask what you can do better or whether they like your stuff. Instead, ask about them. What are their biggest challenges? What are their biggest goals lately? What do they read for work? For fun? Do they read or listen to podcasts on their commute? Why/why not? Ask as many questions about their work habits and process, goals, struggles, and even some tangential questions about their lives. Inevitably, you’ll walk away with dozens of new ideas that seem so obvious all of a sudden. And it will all seem so heartbreakingly simple -- talking to others works! When I first launched the NextView blog, the View from Seed, in July 2014, we wrote a handful of basic posts that we felt were strong. We used some subjective thinking and assumed we knew how to solve the problems we’d identified — advice through text-based articles. Then I met with five founders across two weeks. That’s it — just five. And I asked them about this topical area we were writing about (not our writing, mind you, but the topic and their views and struggles). I realized that text was actually the WORST medium to use to solve this problem, or at very least, there were better formats out there for adding even more value. Rather than hope they nibbled on some salad, I could cook up a nice, big, juicy steak. That steak would be a template instead of an article. Those first few articles on that brand new blog averaged 273 views during their first seven days. We added about 10-20 subscribers each week. We’d identified the problem. But we hadn’t really UNDERSTOOD it until that moment. So, stop reading this article about the theory of getting to know customers and their problems, and PLEASE go out and ACTUALLY talk to some customers! And never, ever, ever again feed a salad to a lion. I respect your privacy because I'm not a creeper. I'm also not a lion, so feel free to feed me salads. Posted on July 15, 2015 by Jay Acunzo.